Resident, common throughout southern and eastern parts of South Africa. Flies most of the year. Wingspan 34-38 mm. Male and female similar. Flies throughout the day. 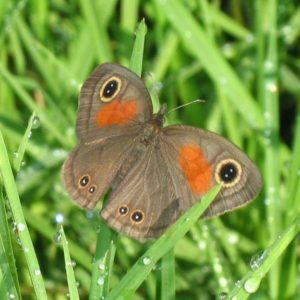 Flutters around dense bushes or forest fringes.